In the eyes of The Chancellor of Football, this was the best 49er team ever! 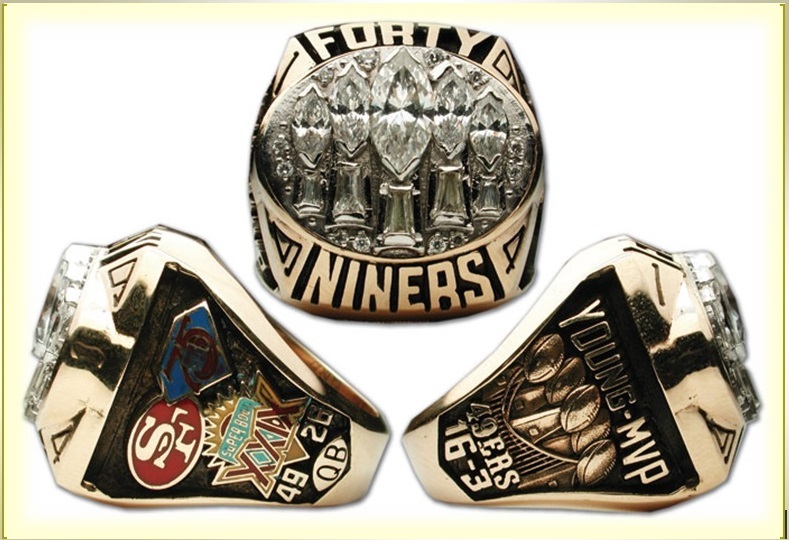 Think of a mythical game between the 1989 49ers and the 1994 49ers…Who would win? Think about, if the 89 Niners version of Jerry Rice being covered by the ’94 NFL’s Defensive Player of the Year Deion Sanders, than zone off the rest of the defense to cover Craig, Taylor, Rathman, and Jones? 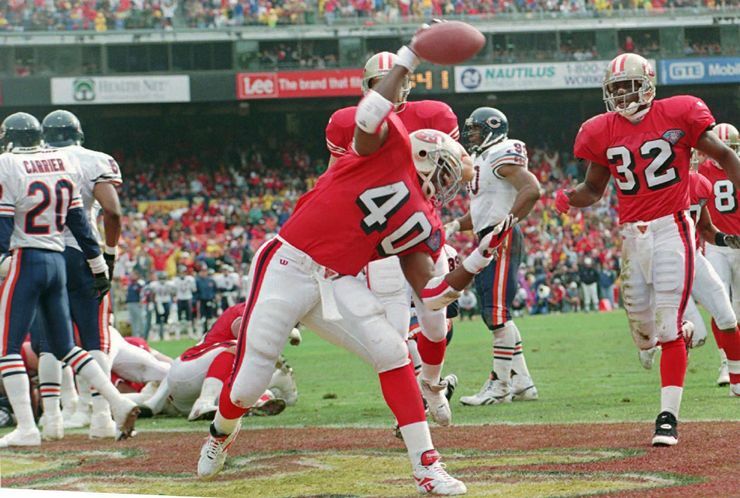 The 94 Niners beat them…why am I talking about this? 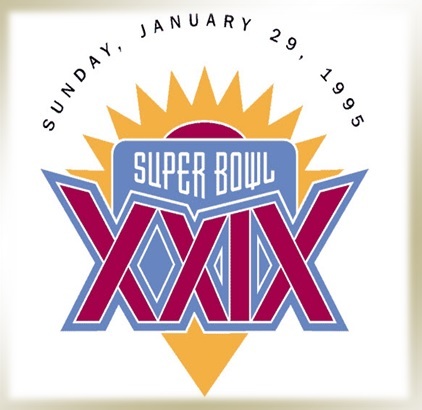 Well the Chargers in Super Bowl XXIX just shouldn’t have been there. Pittsburgh took them lightly in the AFC Championship and when they realized they were in a game it was too late and lost 17-13. Am I wrong? Anyway, the 89 49ers didn’t have the LB speed to cover Watters out of the backfield (Romanowski, Keena Turner, Matt Millen or Michael Walter) and had Deion to shut down Rice. Quietly one of the best teams in history, in fact they had to beat one (Cowboys of 1991-1995, 3 Super Bowl wins) just to get there. 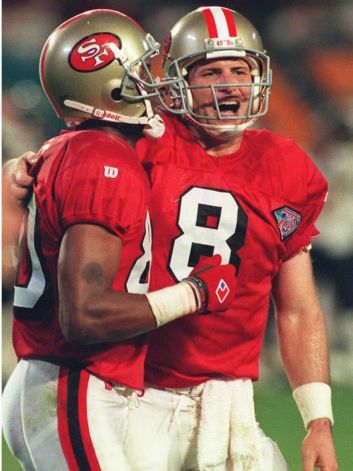 The Niners lost their mojo, when they let Ricky Watters leave via free agency. Yet for that 1994, give it up to one of the best ever. If football were a different kind of commercial business, they’d be Microsoft. All the innovations and ideas to stay atop the league should be applauded. 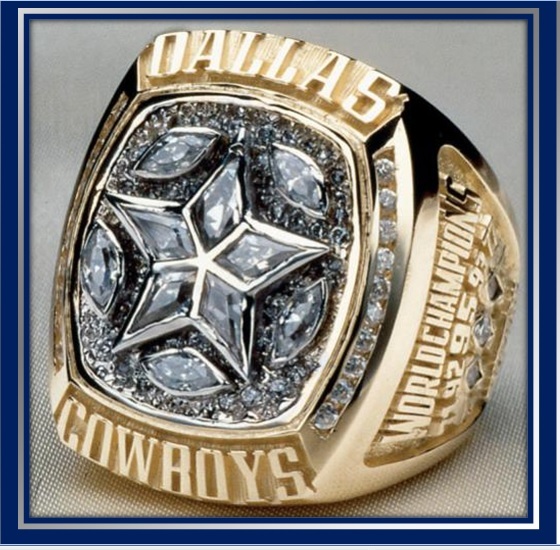 The smartest move EVER was what they did after losing the second NFC Championship in a row to Dallas in 1993. Back then the loser of the Conference Championship game’s coaches would coach the conference’s Pro Bowl team. With free agency being new, how to approach players hadn’t really been an exact science. 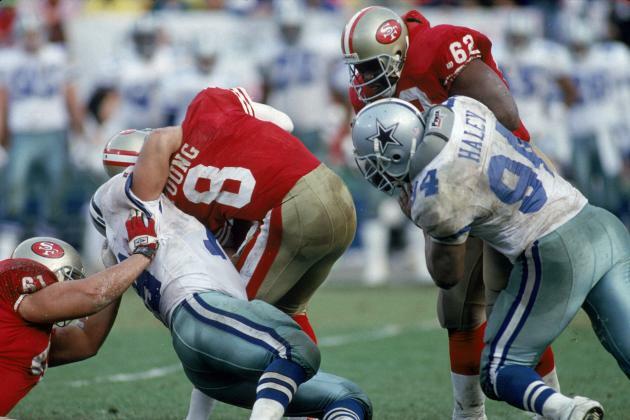 Having lost Ronnie Lott and other defensive greats over the last few years, the defense didn’t have punch to match their offense, and certainly couldn’t handle Dallas. Not only did they get players, they had specific designs for them. Deion Sanders (’94 NFL Defensive player of the year) was to shut down Alvin Harper (all time leading receiver in yards per catch in postseason history) who had lit up the Niners for big plays in the last two conference finals. First up, Ken Norton Jr.; to take a key cog off the Cowboy defense and had faced Dallas in practice, and he would know their strength and weaknesses and light a fire on that side of the ball. Richard Dent, Charles Mann, and Ricky Jackson were to be pass rushers that would be able to get to Troy Aikman because Artie Smith, Troy Wilson were “tweeners” that got manhandled by Cowboy tackles. Neither Larry Roberts nor Dennis Brown were effective enough. Bart Oates helped solidify the offensive line and knew how to play the Cowboys stunting tackles having played against them in New York. Throw in a rejuvenated Gary Plummer and this was a team with no holes in it!! I put this team against any in history and struggle to find who they’d lose to. …and by the way, I did say Deion Sanders for Alvin Harper and not Michael Irvin. How do we know this? Microsoft…I mean the 49ers were great at poker…they didn’t show their hand in the regular season matchup with Dallas in their use of Deion. Yet when they stepped on the field for the NFC Championship game, Deion (speed player) was on Alvin Harper (speed player) and could zone and cover Michael Irvin (The U) who wasn’t that fast. They fooled Aikman into the interception returned for a touchdown on the 3rd play of the game by Eric Davis. You know the 21-0 lead…and the rest. Most notable was on Dallas 3rd possession Dallas took Harper out of the game! 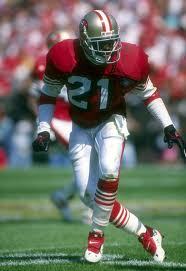 He came back a possession or two later but Deion’s coverage of him not only sapped his confidence and shook up the coaching staff on how to attack San Fran. So decisive was this that you can trace the decline of Alvin Harper’s career from that exact point. Now being a Miami Hurricane fan I shouldn’t be turned off by the flash he displayed on and off the field yet I was. I didn’t think the game was as important to him as being a winner. That was my initial thought of Deion. The comparisons to Bo Jackson for playing both baseball and football were not accurate. Bo was hit on every play being a runner compared to a cornerback who can go a whole game without being hit. So went my opinion. I remembered his first game in 1989, the first time he got on the field after being shuttled in from his baseball sojourn and took a punt back 68 yards for a TD against the Rams. Now you have to give credit where credit was due, that was pretty big for one that hadn’t practiced or even got used to performing in those pads. He would have flashes and I started to notice how great he played against great players. He was the first one that “wanted” to line up against Jerry Rice in his prime. In 1990 Rice scored 5TDs against Atlanta CB Charles Dimry in a game and Deion vowed that wouldn’t happen to him. This started a series beginning in 1991 where Jerry Rice would battle tooth and nail with Sanders. 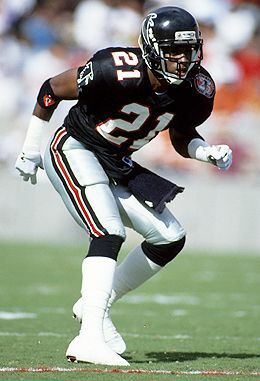 Deion shut Rice down in both games in 1991, which led to Atlanta wresting the NFC West division title from San Francisco that year. You had to notice that Sanders was the spirit of that team and I started to become a fan. Yet this paled in comparison to the performance that turned me around completely. No, I’m not talking of his ’94 season where he was NFL Defensive Player of the Year I’m talking about the best team transforming performance ever. It was 1993 and Deion was still playing baseball and Jerry Glanville’s Atlanta Falcons were spiritless. They had no fight and were 0-6 without him. They were in the midst of being blown out on Monday Night Football by the Pittsburgh Steelers when the announcers turned their narration to things other than the game in front of them. How could they turn their season around? Would Glanville be on the chopping block? What would happen with Deion Sanders coming back? It was expressed his impact would be minimal being a cornerback to which I agreed. Just like a little brother who perks up playing sports when he discovers his big brother and dad are watching, Atlanta completely changed their temperament with his arrival. He came in and brought a moxie that had been missing. He was smothering Lawrence Dawsey of the Tampa Bay Buccaneers and a huge fight broke out after a punt return where Deion was hit late. You saw the fight and the bench cleared to protect their best player and from that point on, the team that had been getting laughed at galvanized behind his brazen spirit. A team that was being laughed out of their own stadium on a Monday night in October was playing the most spirited football this side of Buddy Ryan’s 46 defense led Houston Oilers and finished 6-4 over the final 10 games. One of those losses came to that Oiler team that finished with 11 straight wins. Pundits and everyone noticed he was more than a shut down corner. He had to be a great locker room teammate to pull that off. That fight with Dawsey in a game that meant absolutely nothing showed that the game meant something to Sanders. It was the year he garnered respect as a football player and galvanizing force as a teammate. Later that year after his Pro Bowl selection, the media descended on Atlanta for Super Bowl XXVIII for Buffalo v. Dallas. He enjoyed a celebrity that was borne of the respect he showed in turning around the Falcons that season. Folks wanted to know who he thought would win the game as much as be entertained by his personality. He was the defacto master of ceremonies and everyone from Inside the NFL, ESPN, to NBC had specials with him talking football and showcasing great spots in Atlanta. On the field before the game NBC asked a panel of current players about the Super Bowl. There was speculation on would he return or not. Deion elaborated “Here is the Super Bowl in Atlanta and I’m watching it. I want to play in one.” You saw in his face that he meant it and felt it on live camera with the Super Bowl being minutes away. He wanted to be recognized as a winner and not just the flashy corner / return man and he wouldn’t be back in Atlanta. No season turned around the perception of Deion Sanders as a football player like 1993. No season cemented his legacy like 1994. The baseball strike relegated Deion to being slightly bored and needing something to do. He had been a Cincinnati Red yet was being courted by New Orleans Saints and such as a free agent in football. The Saints had the best free agent offer on the table for Sander’s services with a 4 year, $17 million contract. He was going to be a Saint right? Wrong! Remember that on field admission of wanting to be a champion before Super Bowl XXVIII in Atlanta? Well Carmen Policy convinced him to join the San Francisco 49ers for 1 year with a $1.1 million contract, the last $170,000 of which was Jerry Rice sacrificing his own money so they would sign him under the cap. What showed that the championship was more important than to sacrifice $15.8 million for a one year chance at the brass ring? That was a tremendous risk…..so what happened? Deion joins the team in week 3 and displayed the cover corner prowess that allowed him to intercept 6 passes, returning 3 for touchdowns. He set the records for return yards in an individual season; two 90 yard TD interception returns in a season…and ran away with NFL Defensive Player of the Year Award. His complete smothering of Alvin Harper, then the NFL all time yardage per reception leader in the playoffs actually ruined Harper’s career. Or at least the descent of Harper’s career can be traced to the 1994 NFC Championship Game and the first few series. Deion became a Super Bowl champion that year which cemented his legacy and he didn’t have to apologize for anything the rest of his career. He subsequently moved on to sign a 5 year $35 million dollar contract with the Dallas Cowboys where he won another Super Bowl and had stints with the Washington Redskins and the Baltimore Ravens to help influence a slew of young players with his will, verve, and spirit. He is a Hall of Famer and is recognized among the greatest cornerbacks in the history of football. He was an All Time great and earned his way to the Hall of Fame on the field. Cornerbacks still emulate him yet can’t turn an interception into instant offense like he could. He was big and his hand-eye coordination stymied not only the great Jerry Rice, Michael Irvin, and later Andre Rison. Sorry Sterling Sharpe used to get him….yet I digress. He finished with 53 interceptions, had 19 combined return touchdowns and 1,331 yards in returns. Just an electrifying performer. An all time great? Absolutely! Deion Sanders, one of the all time great cornerbacks and now: Pro Football Hall of Famer!! Congrats on your election.